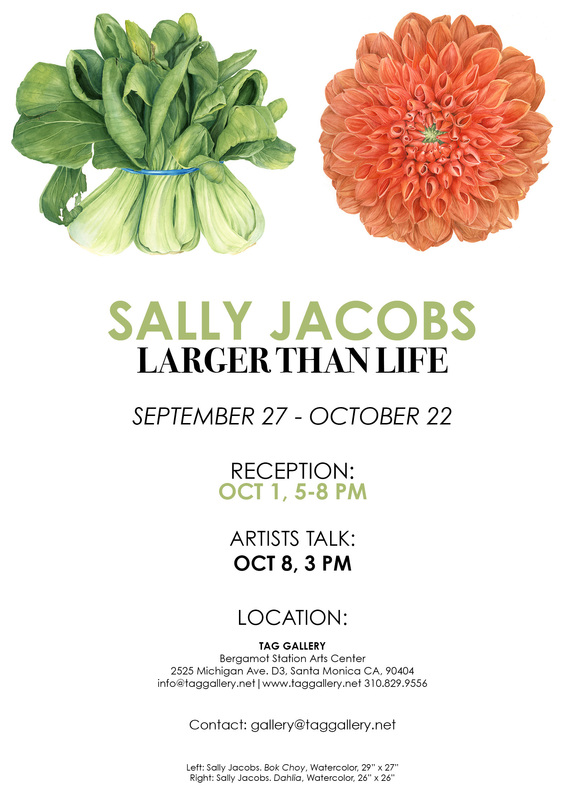 E-invite for Sally Jacobs exhibition, Larger than Life at TAG Gallery. Sally Jacobs will be giving an “Artists’ Panel” for her exhibition, Larger than Life this Saturday, October 8, 2016 at 3:00 pm at the TAG Gallery in Bergamot Station Arts Center. It’s a great way to see the show and hear about her approach, technique, and more.